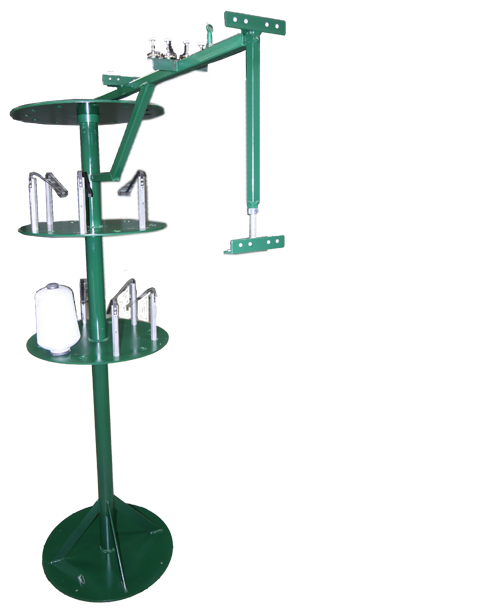 Palmetto Loom Reed’s Weaving Machine Creel Stands are engineered to exact equipment specifications to ensure form, fit and function to the customer’s Weaving equipment, retrofitable to any Weaving machine. Reduce the total ends by 45 to 50%. By analyzing how many spool changes occur daily and calculating how many unchanged annually at 35-40 minutes per occurrence, you can determine the savings. Depending on the speed of the weave machine, an (8) eight-pound package can last up to 8 months. By setting the Individual control of tension on each end, it will reduce the total number of ends required to produce a quality catch cord selvedge. Copyright © 2019 Palmetto Reed. All Rights Reserved.